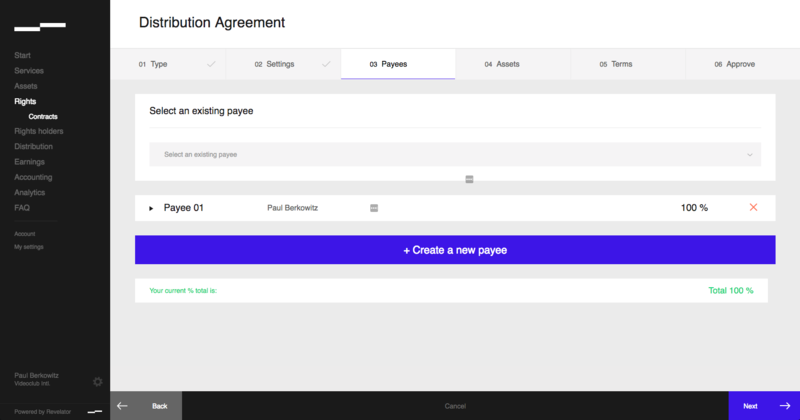 When creating a new contract or editing an existing contract under Rights, the third tab that appears is Payees. Identifying payees and their percentage share may be edited at any time. When editing a contract, click the name of any existing payee to edit their details. Starting balance: Include the amount of money outstanding from other contracts or advances.